27 cm tall (10.5 inches). 22 cm wide (8.5 inches). 15 cm depth. Base measures 13.5 cm x 9.5 cm. 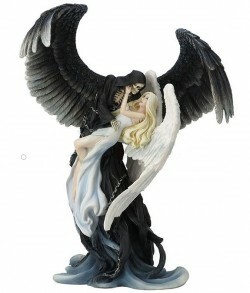 An Angel of the Light and Grim Reaper. The figurine is solid and has a good weight to it.